IT HAS been an exciting period for Granny. She was featured on TV again – twice in two months! Hubba hubba! 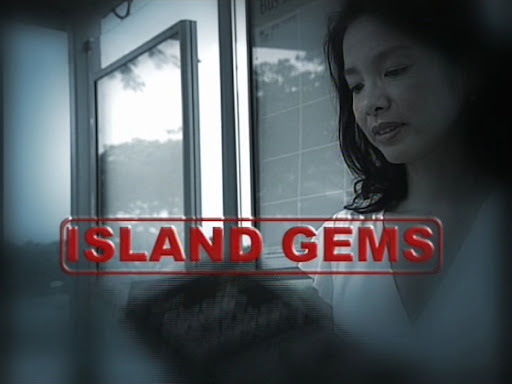 This time, we were featured in Singapore Discovered!, a programme by Channel NewsAsia that follows expats in Singapore as they divulge hidden island gems. That’s right. Granny is an island gem. 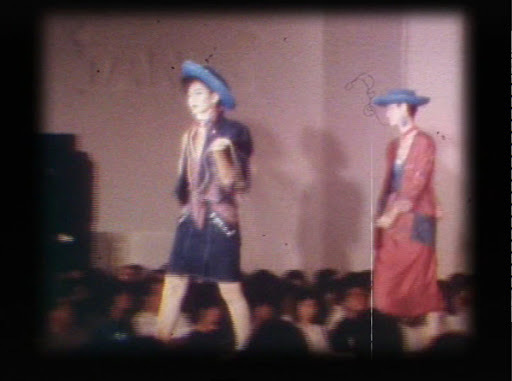 🙂 Anyway, there were some pretty fascinating images from 1980s fashion runway shows in Singapore. Really wish they had shown more clips! Watch the full video here! 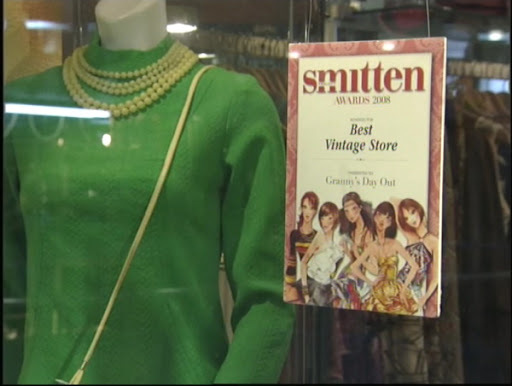 Granny’s Day Out on Singapore Discovered!, Channel NewsAsia. 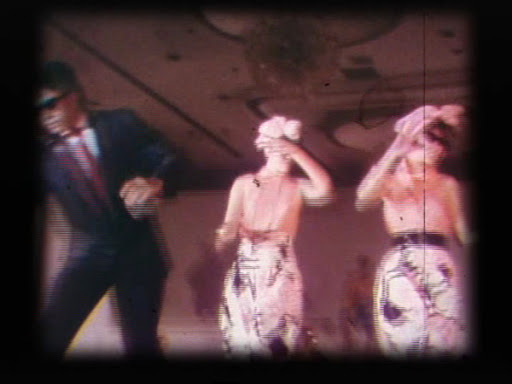 So, they start off the whole vintage theme by showing old reels of fashion runway shows. That's cheena-piang huge teased hair from the 80s. We don't recommend it, ladies. Hats were all the rage. They shield us from UV rays - we should wear them more! Note: Strategically arranged fringe over left eye under hat. 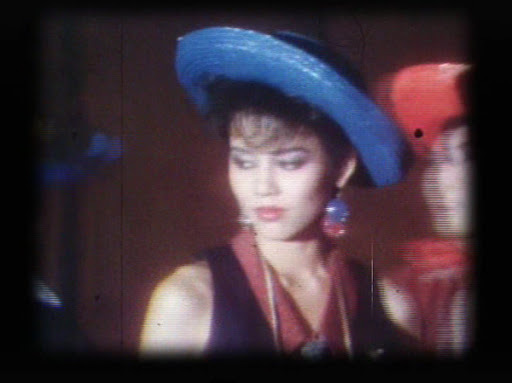 Lady behind in red hat brings to mind 80s screen siren Lin Ching Hsia. All the ladies on TV swirled like mad back then and kept tossing their hair. This lass reminds me of a really cute girl who comes to the shop. 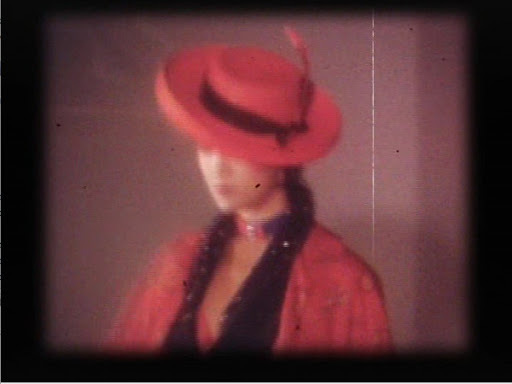 The hat used to match the clothes. 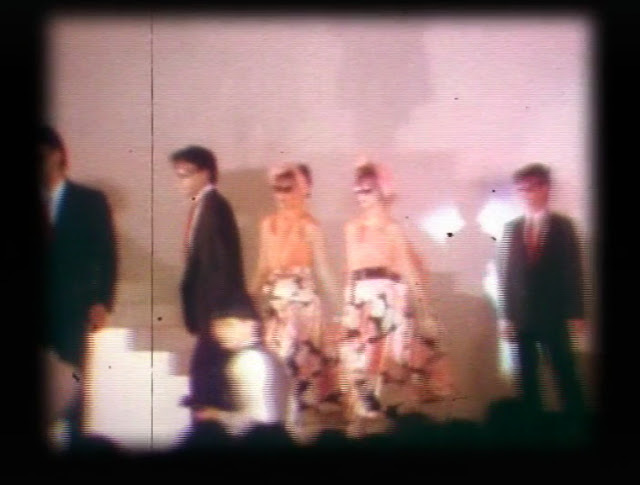 A bizarre occurrence on the runway: Characters in identical outfits and turbans appeared accompanied by mafia types in suits and shades. They pretend they are famous and chased by paparazzi. The macho men leap to their rescue. Drama mama! 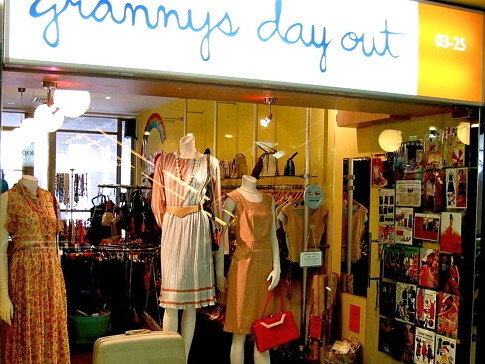 The host of the programme, Grace Lee, discovers that Granny's Day Out is an island gem that sells vintage clothing and accessories. 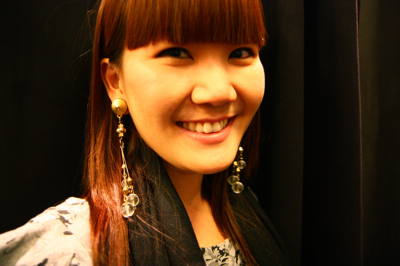 She hunts us down in ulu Peninsula Shopping Centre while I pretend to work hard on the window. We chat about the past. I reminisce about how women used to dress up a lot more, even in their own backyards, like I was there in the 50s. 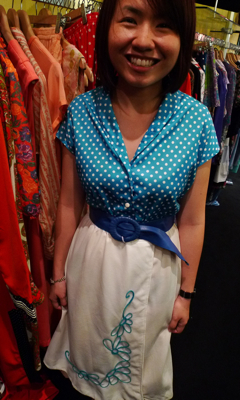 Grace (excitedly): "I need a dress for a vintage car event I'm attending!" Me (in unnaturally high-pitched tone): "Sure! Let's go try some dresses!" So many choices! 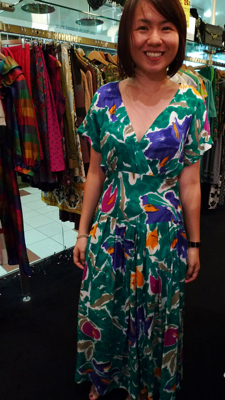 We pick from hundreds of vintage dresses. First outfit: Grace matches a 1970s floral dress with a 1960s crocheted handbag and beaded necklace. 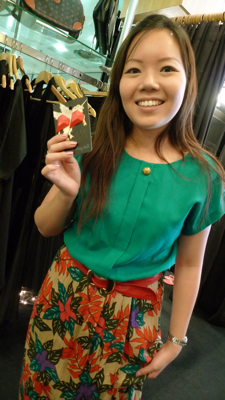 Grace is from Hawaii, and she loves this 1970s Hawaiian frock which reminds her of home. Awesome sleeves! 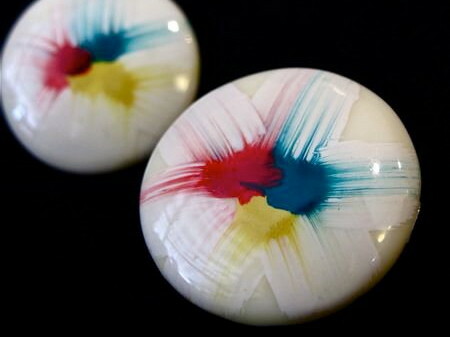 Could've been worn by a hippie bride with flowers in her hair. Who's crazier - the lady or the dress? 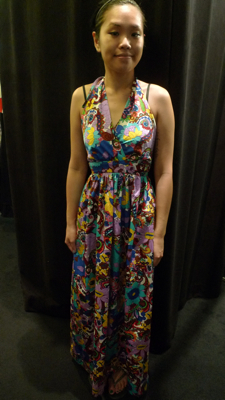 Grace wears a psychedelic 1970s mock-neck dress. Twirling around in a 50s bustier dress like a princess. 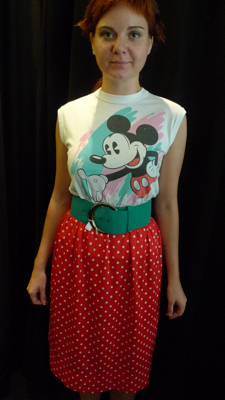 This lady looks good in vintage! Here, she plays dress-up in a 1970s green maxi dress with an unusual neckline. She practices a curtsy in a 50s floral number! That's our shopping bag! That's our shopping bag on TV! Woohoo!